Back then, my nephew was 11 years old. Having a conversation with him was LITERALLY this. 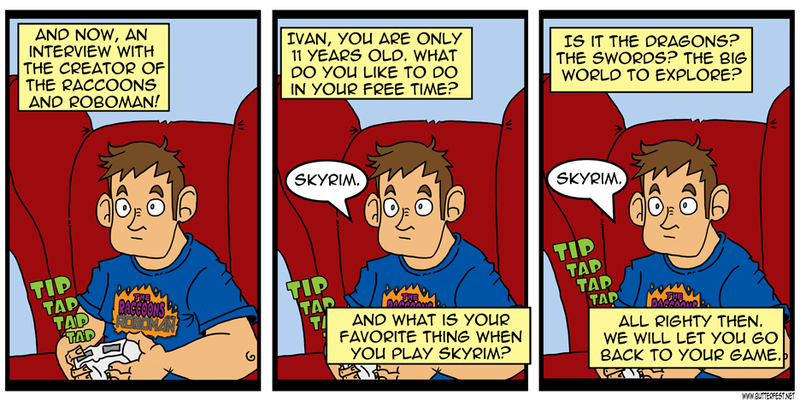 All he talked about was Skyrim.